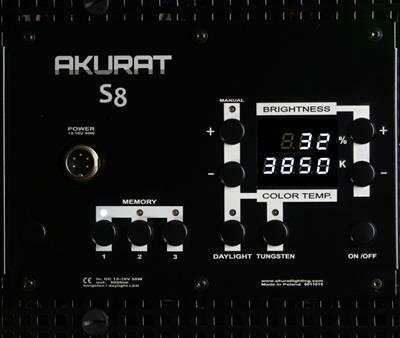 S8bi BiColor – a high-power LED panel - aluminium - with 60 Degree Lenses. AC Adapter. CRI 95 (V-WHITE version: 98). 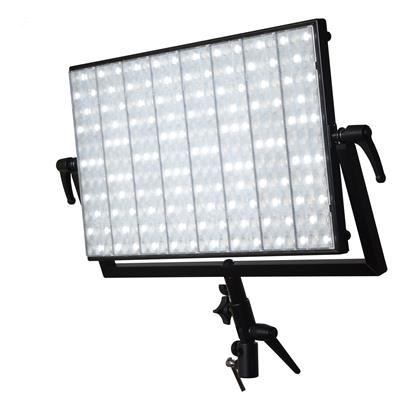 This high-power 51 × 30 cm aluminium illuminator is equipped with highly efficient high-CRI SMD (surface-mounted) LEDs and replaceable optics.